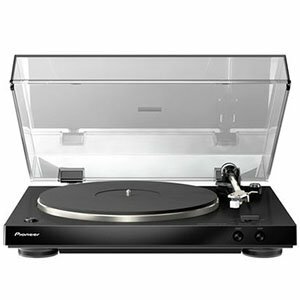 With so many turntable models available today, it is fairly easy to get lost when trying to choose the best turntable for your needs. If you already own a more basic one and are looking to upgrade, things are somewhat easier. Those who have a $100 record player can either go one step above, or go straight for the mid-range segment. There are numerous reasons why this is a good thing, which is what we are going to be talking about today. Before we get there, let’s check out some of the best models you can get for less than $300 at the moment. The best looking turntable we’ve found, bar none. Environmentally conscious materials and building processes. Audio quality is rich, warm, and accurate throughout. A little light on extra features, but this isn’t a deal breaker. House of Marley is not a name that has been traditionally associated with the turntable, but all that might be about to change with the 2017 launch of the Stir It Up model. The best looking device we’ve found, its eco-conscious design ethic is the icing on the cake of a product which combines gorgeous looks with simply fantastic audio. ​We would have liked to see more in the way of additional features which many turntables at this particular price range include as standard, but the sheer quality of this turntable alongside its amazing aesthetic and ethical leanings more than make up for this minor quibble. A fantastic choice for anyone who is looking for a turntable that looks the part as much as it sounds it. Strong and built to last long nights of nightclub gigging. A creative performance tool that won’t let you down. A very competitive price for what you’re getting. It’s a little on the heavy side, coming in at 22.4lbs. 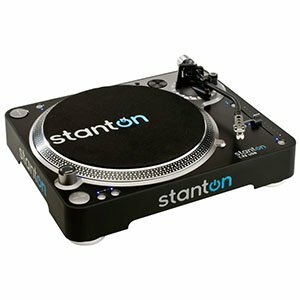 When you need a turntable you can rely on as a gigging DJ, Stanton’s affordable T92 will serve you very well. At over 22lbs it’s pretty heavy for traveling around, but overall it’s durable, it looks good, and the features allow you to get creative. An all-round great performer! ​The aesthetic is very much in keeping with the kind of professional equipment you would expect to find at this price range: it’s simple, understated, but has just the right amount of flair to let you know that it means business. It is extremely competitively priced for the amount of use you can get out of it in a professional setting, and a must buy for a gigging DJ looking for something at this price point. Pro-Ject is a big name in the turntable world, and the Debut III is a good piece of evidence as to why that happens to be the case. A gorgeously minimalistic design which is capable of producing an accurate, dynamic, and, above all, realistic listening experience that rivals far more expensive offerings from even bigger brands. A very strong choice. ​We can see the Debut III becoming quite a divisive offering given its ruthless commitment to minimalism and cutting all of the possible fat that you can sometimes find bundled with turntables at this price range. While this approach works wonders visually, some may be turned off by the lack of additional extras that other models will come with at this price point. Fluance have done a great job with the RT81. 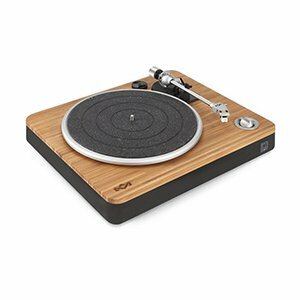 It’s a great looking product that sports a premium feeling walnut finish and a sturdy, luxurious build quality that makes it feel like a more expensive turntable than it is. Whilst light on extra features, the audio quality manages to deliver across a wide range of genres. A very solid choice. ​A minor gripe we have is with the auto off feature which sounds great in theory but actually works quite bizarrely and leaves you in a position of having to remove the tonearm manually or else watch the record spin until the end of time (or the turntable breaks, whichever comes first). Other than this, it performs well across the board and is a good option to consider. Braided cable minimizes the risk of damage while also adding to the overall aesthetics. Stylish design and a plethora of color themes guarantee that you'll find a good combionation. The base is decent but made of plastics. On paper Audio-Technica’s LP120 looks great, and if you’re in the market for a quality turntable at a reasonable price you may well have found it. If you plan on being more creative with your vinyl, the LP120 has its limitations, but packed with modern features and a lovely build, it’s hard to fault this turntable. ​If we had to find something to moan about, it would probably be the disguised compliment that the build quality is so good that travelling with this turntable is going to be a pretty challenging feat. It is weighty, robust, and has a serious bulk to it which means that you don’t want to have to move it around a great deal. Not a big deal, but worth knowing. Built to perform, with fantastic specs. A great price for such a well-built product. Lack of a USB port – one should be included at this price. Pioneer offer a simple and beautifully-made turntable with the PL-30-K. They set out to make a durable, modern and overall high-quality product, and they have delivered. Although not well-suited to the performing DJ, this is a music-lovers’ turntable for those who don’t need flashy lights or features they’ll never use. It’s simple, stylish and – for the price – great value. ​Our main complaint comes in the form of a missing USB port. It may not seem like a big deal (and, let’s be honest, it probably isn’t going to be the end of the world), but it is something we pretty much expect to find at this price range and so its omission is a little disappointing. It’s the kind of feature you probably won’t use often, but that it is nonetheless nice to have. Lots of upgrade paths that can significantly improve performance. Tone that exceeds expectations right out of the box. Denon DP300F is a fully automatic turntable that offers quite a bit of flexibility. Right out of the box, it delivers great performance across the board. If you have a standalone amp, you can most likely squeeze out a bit more out of this thing. For the money, it is one of the best performers on the market right now. ​The build quality of the DP300F is decent, but it is worth pointing out that the base is made entirely out of plastic and doesn’t feel as robust as we would like for this price point. The upside of this, of course, is that it will travel well and weighs a lot less than similarly priced models, but the downside is that it will scratch easily and may not last as long as others. Why Get A $300 Record Player? Trying to figure out your budget for a turntable purchase can be tricky if you’re not sure what you’re looking for. On a similar note, defining the difference between a $200 model and a $300 one isn’t always easy. With that said, there is a difference and it matters. A good $300 turntable will offer better components but also better materials in general. We are talking good old build quality. 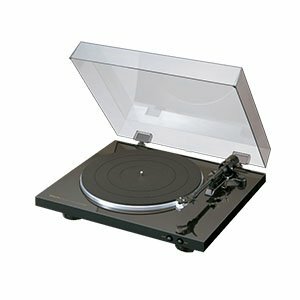 Many people out there reduce record players to their main components, completely disregarding the chassis or isolation between the turntable and the surface its sitting on. While slightly cheaper models will definitely do well in this regard, a solid mid-range turntable is where you will see the biggest improvement in materials and construction. One of the byproducts of this are the more attractive aesthetics as well. However, that is about the last thing you want to use to rank record players. When it comes to features and core performance, mid-range turntables are pretty solid more often than not. You will see decent cartridges as well as stylus choices being used. Many of these models have well designed tone arms with a lot of room for adjustment. 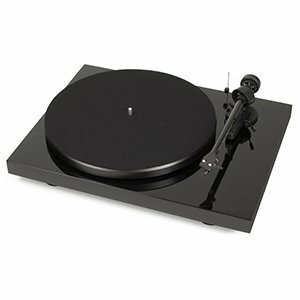 One of the absolute best reasons to get a mid-range turntable are the available upgrade paths. Chances are that you will be able to swap a whole range of components, thus significantly improving the overall performance of your turntable. Those who like to customize their stuff will love this segment in general. 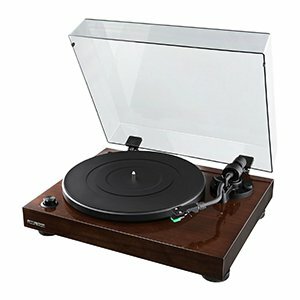 For the most part, you could say that a $300 record player is a ticket to great performance in its most essential way. These won’t bring all the cool bells and whistles we can see in more expensive turntables, but you will find that performance is pretty close to what those have to offer. Naturally, we have to be realistic and understand that each turntable is different in various ways. There is a reason some top tier record players cost as much as they do. The point we are trying to make is that a $300 turntable will get you the best bang for the buck value on average. You can always go higher and better, but the increase in price and performance won’t be linear fro this point on. At the end of the day, a $300 record player is the sweet spot. Models found in this segment will offer a significant upgrade from cheaper turntables. At the same time, you get access to solid performance which you won’t grow out of for a long time. Models we have shown you above are by far some of the best you can get for this kind of money. 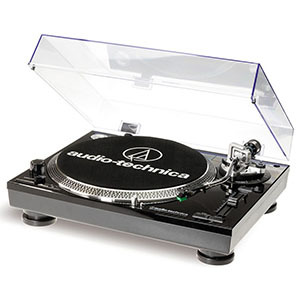 We did our best to pick only turntables that have proven their worth, allowing you to have confidence in your choice. Needless to say, these will get you the listening experience you deserve.